One of Australia’s most celebrated contemporary artists, Lindy Lee explains ‘Almost all of my life I’ve been preoccupied with the nature of ‘self’ in the world. For me it has to do with being a divided self – Chinese and Australian – and the feeling of being neither this, not that, but both’. 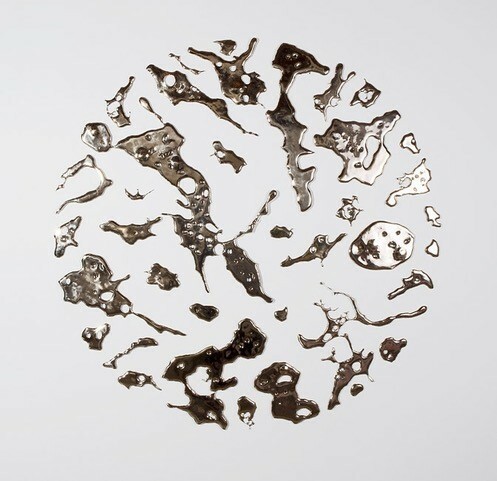 Lee’s bronze wall sculpture is inspired by traditional Chinese ‘flung ink’ painting where Buddhist monks mediate before spilling ink onto blank paper. Here Lee explores these ‘ink splats’ by throwing molten bronze onto the foundry floor, and action that mimics the traditional Chinese practice understood as an act of renewal, where all that is held inside oneself is released. Congratulations to Bridging Hope Charity Foundation for being selected by Waverley Council Staff Charitable Trust for a $4,000 donation.